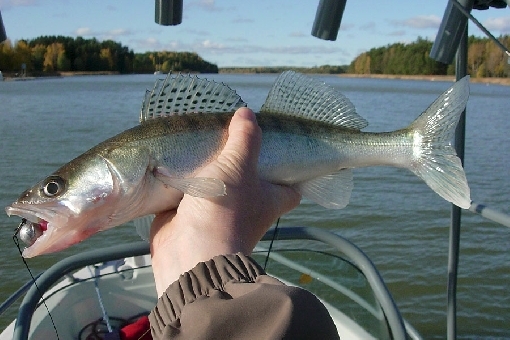 The waters around Rymättylä are the realm of perch. The Archipelago Sea lying between the Åland Islands and Continental Finland on the Baltic Sea is the largest in Europe and among the most extensive archipelagic complexes in the whole world. The area has been dubbed the most beautiful archipelago in the world – and with good reason. You can land your boat on an uninhabited island and fish in total peace. On the Archipelago Sea, everyone can find their own secret fishing spot. In its diversity, the Archipelago Sea makes for an unmatched fishing site: there are wide open seas, fragmented island areas and shoals, deep waters and shallow bays. 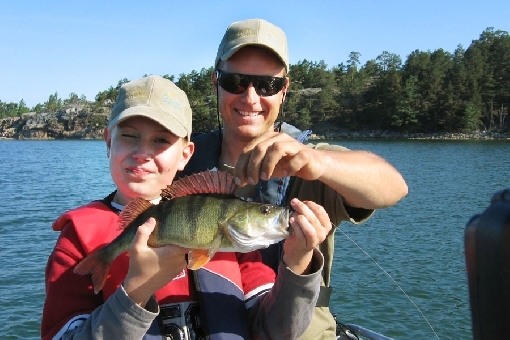 Famous fishing grounds are in Särkisalo, the Parainen area, Turku waters, Kustavi and the Uusikaupunki Archipelago. 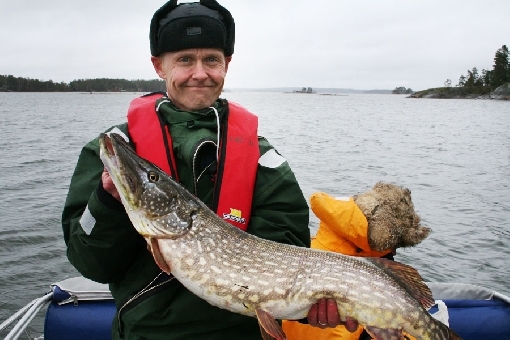 For rod anglers, the number one species of the archipelago is pike. 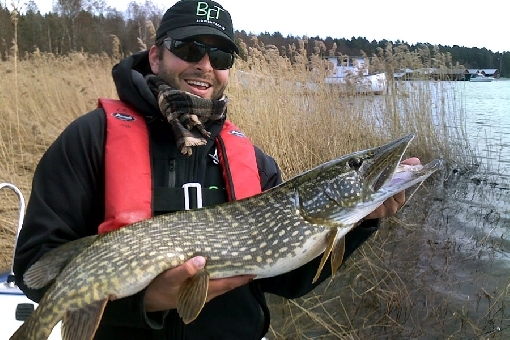 With the exception of the outermost islands, pike can be found everywhere and stocks are strong. Here you can also catch real whopper pike. Specimens weighing several kilos are common and it’s not impossible to break the 10-kilo limit. 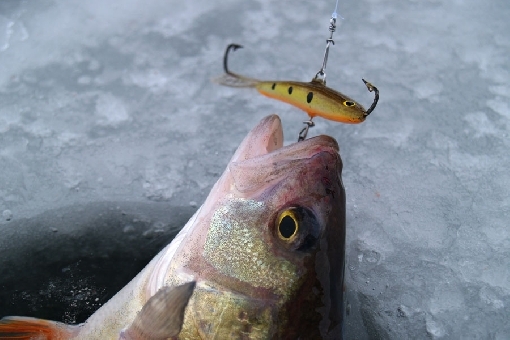 In winter, you can pursue pike with ice-fishing tackle at the mouths of bays. The best ice-fishing seasons are the period when the waters first freeze over and just before the ice breaks up in spring. When the waters flow free again, pike retreat to their spawning places in reedy bays. Pike can strike the lure almost anywhere in this area. The surest spots include edges of shoals, reedy bays and areas growing bladderwrack. From time to time, out on the flanks of the more outlaying islands and islets swim pike that live in a sort of symbiosis with schools of Baltic herring and may be big. The Archipelago Sea is one of the best perch areas in the whole of Finland. Perch weighing 300–500 grams are common, while one-kilo specimens can also be found. Zander thrive in the muddy coastal waters of the Archipelago Sea. Jigging, trolling and ice-fishing enthusiasts make excellent zander catches. An ordinary game zander weighs less than a kilo, but the best spots offer chances of catching specimens weighing as much as several kilos. 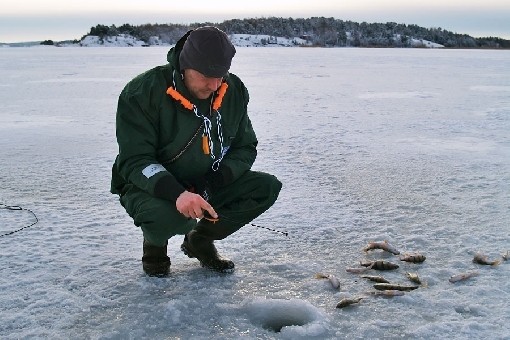 After the ice breaks up in spring, an interesting form of fishing is angling whitefish on the sounds and sandy bottoms of the Archipelago. 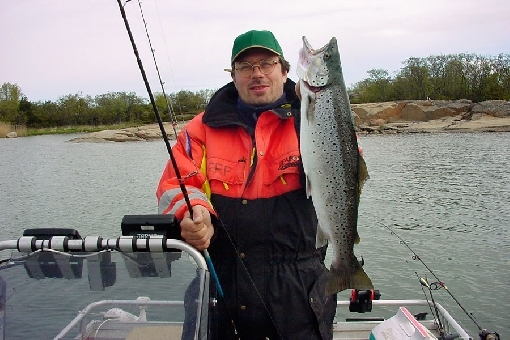 Sea trout are pursued in spring and autumn by spinning and trolling mostly in the outer archipelago. Baltic herring are caught in early summer and late autumn on narrow straits and from bridges. Popular sites include the Ukko-Pekka Bridge in Naantali and the jetty of the holiday centre in Parainen. 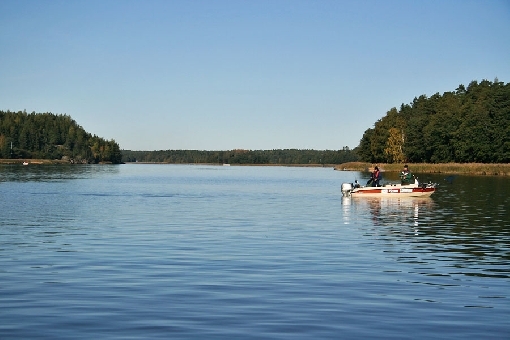 Dragsfjärd is home to diverse and well-stocked waters. The Archipelago Sea is a dream destination for anyone who enjoys aquatic nature. This is where the extremes of nature meet. Rugged and rocky islets quickly change to lush deciduous woods and coastal landscapes. The area is characterised by verdant ash woods. In the height of summer, the floral splendour of the islands is dazzling. As you head towards the outer islands, the landscape becomes more rugged. 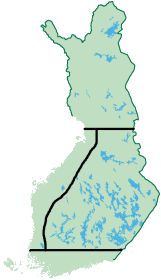 The largest islands on the Archipelago Sea are the main island of the Åland Islands, Kemiö Island and Otava Island in Rymättylä. There are countless small islets. The scenery and natural diversity turn your fishing trip into a fascinating experience. The area has abundant birdlife and grey seals may also reveal themselves to anglers. The Archipelago Sea National Park covers heritage sceneries and fishing villages. Water quality on the Archipelago Sea varies. 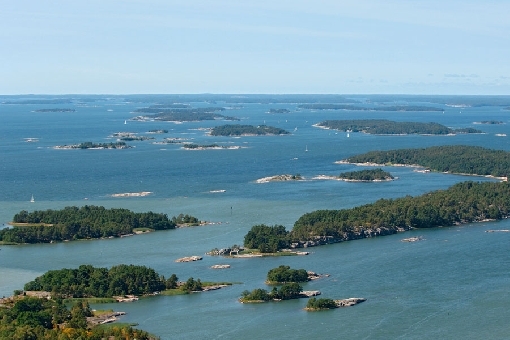 The area off the coast of Turku and the large bays penetrating the mainland are lush, whereas water quality is better in the outer islands area. The water is brackish with a low sodium content (5–6 per mille), which is why freshwater fish can be found in the area. A view over the Nauvo Archipelago. The Archipelago Sea is shallow and coastal waters are generally less than ten metres deep. The ice period lasts about three months, but the area has remained completely unfrozen in some winters. There are plenty of tourism enterprises and you can drop in for a spot of lunch at a charming coastline restaurant in the middle of your fishing trip. Velkua is a good ice-fishing area. In mild winters, the area’s fast-flowing sounds will not freeze over properly.